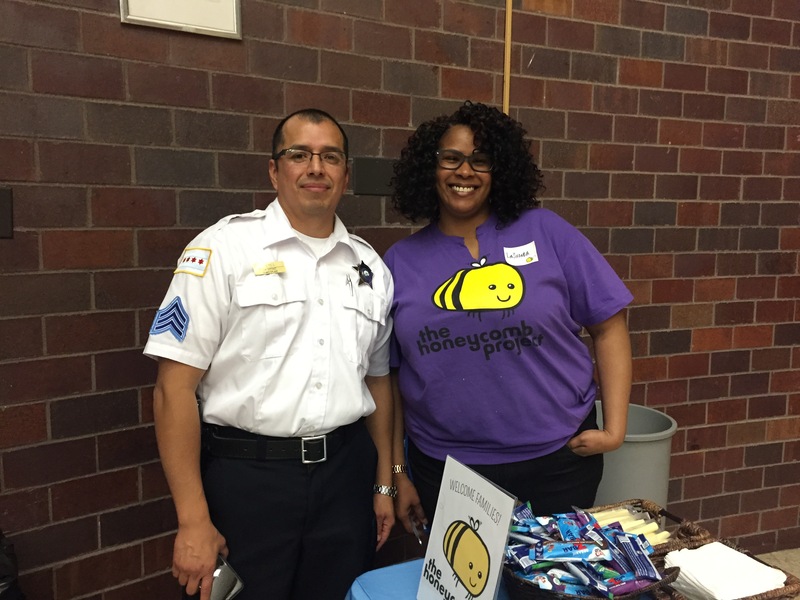 Just over a year and a half ago, LaShonda Tate was googling organizations to volunteer for and she came across The Honeycomb Project. She immediately fell in love with Honeycomb because of their focus of children giving back to their communities–in addition to the variety and flexibility of their programming offered. So what are some of LaShonda’s favorite Honeycomb events she provides leadership support at?? “I love animals, so the projects at Anti-Cruelty Project are amazing — kids love making those toys for animals and it’s great to see smiles on their faces.” “One time, a staff facilitator brought out four rottweiler puppies and the kids went nuts…it was so fun!” Another favorite project is baking cookies at Ronald McDonald House. She loves interacting with all the families and making treats for others in need. LaShonda is a senior at Northeastern Illinois University. She is a Community Health major with a focus on public health and a passion to work with underserved communities and teenage mothers. On top of taking five classes, she is a member of Alpha Kappa Alpha Sorority, works in the University’s financial aid office and is a peer tutor for fellow classmates. LaShonda resides on the south side in Chicago’s Englewood neighborhood.